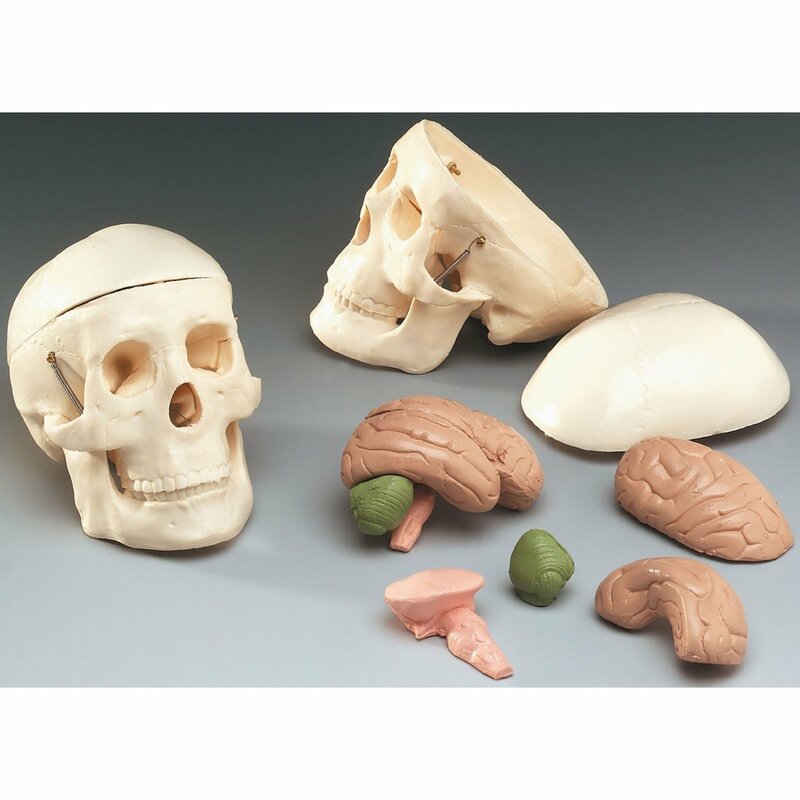 This miniature skull model shows the major sutures of the human skull. The calvarium can be removed to show the included 8-part brain, made of unbreakable, soft plastic. The mandible is spring hinged. The 8 part brain is color coded and displays the right and left upper portions of the cerebrum, right and left lower portions of cerebrum, right and left halves of brain stem, and right and left halves of cerebellum. Skull size: 3in. x 5in. x 3.5in., brain size: 2.5in. x 2.5in. x 2.25in..